A pioneer in 3D printing in austere environments, Dara combines her design strategy experience and rapid ethnographic assessment to empower others through technology. Two years after the earthquake in Haiti, Dara realized the extreme supply chain challenges. Motivated to tackle these, started 3D printing as a way of addressing immediate needs. Co-founding Field Ready, an NGO focused on manufacturing humanitarian supplies, has already brought 3D printers to make essential medical supplies, replacement parts, water pipe fittings and more in multiple countries simultaneously training locals. Dara worked as Human Factors Lead for Made In Space, Inc., a company that built and operates the first gravity-independent 3D printer on the International Space Station. 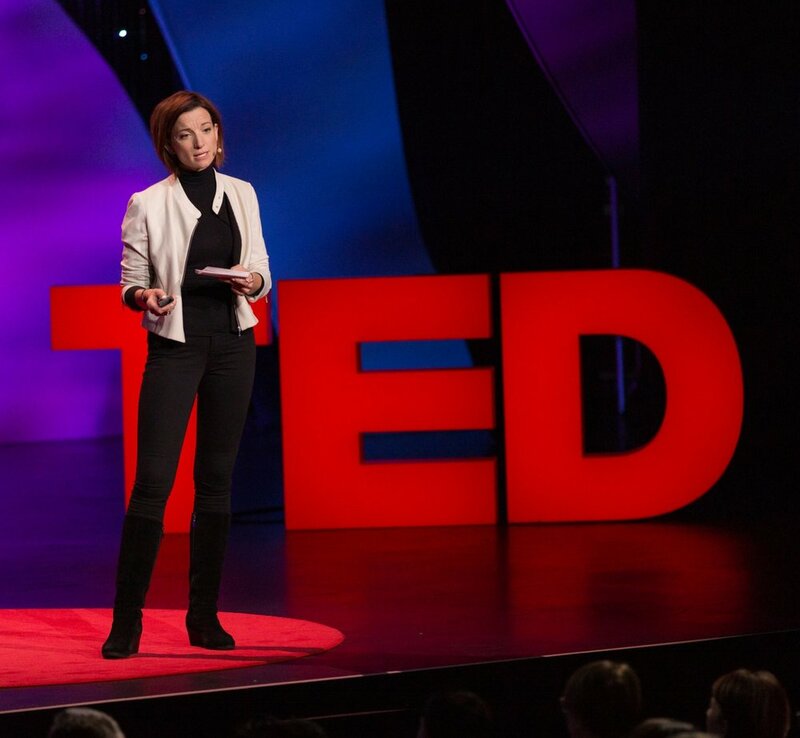 She has lectured at the UN, MakerFaire, TED, and more about the potential of technology applied effectively to address human needs in remote environments. Holding a BS in Industrial Design, a minor in International Business from MSCD, and receiving numerous accolades for her creative applications of technology has led her to recognition by the Obama Administration as a “Champion of Change.” In her free time Dara flies drones, works on AI optimized cars, and learns medicine for remote environments. When I was 10 I wanted to be the first woman on Mars. I am proud of... Working on a 3D Printer that was launched to the International Space Station in Nov 2014 has only been paled in comparison to the joy of founding the first innovation lab in Haiti. Helping young people to create new tools and a new Haiti has been nothing but inspirational. The biggest obstacle... I have faced was self-doubt and my learning disabilities. Repeatedly being called stupid when I was young had its toll. As it turns out thinking differently has paid off. My advice to women is... play, love, and live with passion. If there is something you really - really- want to do, than no one can stop you. If they can stop you, it’s not what you really want to do. You will encounter challenges however it is these challenges that create the unique beautiful you. Personal Statement: There are two things in life that I've constantly found myself obsessively drawn towards: captivating design, and meaningful connections with other people. When I meet people, I cherish learning their stories, and playing a part in helping them to find the best paths towards their goals. This means spending a great deal of time truly understanding the person and situation at hand. I love the puzzle that is the human mind. It is fun and engaging for me to figure out what people really need verses what they think they need. My background in Industrial Design has allowed me to focus intently on creative problem solving leading to tangible and appropriate results. · Experience organizing and leading volunteer teams, promoting a vision toward making a positive, substantial, and sustainable impact on communities around the world. Field Ready provides solutions to the most pressing logistical challenges in remote and difficult to work places. Designed by aid workers for aid workers, our transformational approach will lead to significant cost savings and dramatically improved results. · Ensure functionality, ease of use and safety of zero gravity 3D printers for astronauts. With iLab//Haiti, Haiti now has potential for small on demand digital manufacturing capabilities. In partnership with KIDmob, design strategy is taught weekly. · Brought 3D printing technology to Haiti alongside donated equipment such as software, computers and physical 3D printers. · Facilitated design thinking workshops with locals to give them creative problem solving, empathy building and resilience. Taught maker skills and 3D printing skills. · Recruited volunteers for the project as well as raised funding and in-kind donations for our projects. Spearheaded the innovation lab initially with local nurses and disaster medics and from this came iLab//Haiti. Introduced new technology to Haiti, leap frogging challenging infrastructure and slow manufacturing practices. Collaborated on design with international team and locals to create a water transportation system that fit within the Haitian culture. Therefore improving the standard Haitian business model around water, lowering costs and delivering superior products and services to high-demand but under-served communities. As Project Manager at ReAllocate one large project had the goal of creating a high tech innovation lab that can be deployed anywhere in the world. I separated out steps and teams necessary to execute on each piece. The first was to design and build out a shipping container Innovation Lab. The second was to create a portable 3D Scanner (hacking Kinnect.) Third, create 3D prints of the scans. The last goal of the project was to successfully film and deliver autonomously via drone to the client utilizing GPS tracking. · User Research in capabilities of training capacities regarding high tech innovation labs for developing nations. While in Nepal utilized Rapid Ethnographic Assessment tools and appropriate on-the-ground research skills to develop a successful business model solution oriented to subsistence farmers. This model for subsistence farmers, taught business skills, market development, safer farming practices, Permaculture techniques, design, and problem solving skill development. · Organized a unified cross-cultural interdisciplinary project funded by local NGOs to positively impact 10,000+ community members within 2 years of launch. Designed and implemented internal communication strategies to improve communication amongst 14 different nationalities. Result was a strengthened and solidified international network of NGOs, schools, and private businesses focused on International Development across more than 40 countries worldwide. Graphics, product management, and development for the farm and ranch sector which meant developing brand identity, packaging, and public relations strategy to ensure product and marketing was in line with the Tribe’s cultural values and beliefs. · Created multi-cultural project business plan, addressing market feasibility, target markets, organization and management, product line, supply chain analysis, and strategic planning. Designed projects to include clinic concepts utilizing Thin Shell Concrete for Tanzani, refugee housing, rainwater harvesting, and implementation of sustainable business practices. · Assisted and arranged site visits to South Sudan to aid in development, research, and efforts in creating new low-cost agricultural tools for returning refugees. · Primary focus was the people and space in which they interact, ergonomics, and social entrepreneurship. Thesis project: “Conscious Design: A Qualitative Exploration of the Significance of Cultural Diversity and its Critical Function in the Globalization of the Planet”. · Traveled for 6 months on Scholar Ship to foreign ports, living and learning with over 37 represented nationalities. Specific classes included Global Issues, Global Management, Intercultural Communications, and Intercultural Management.